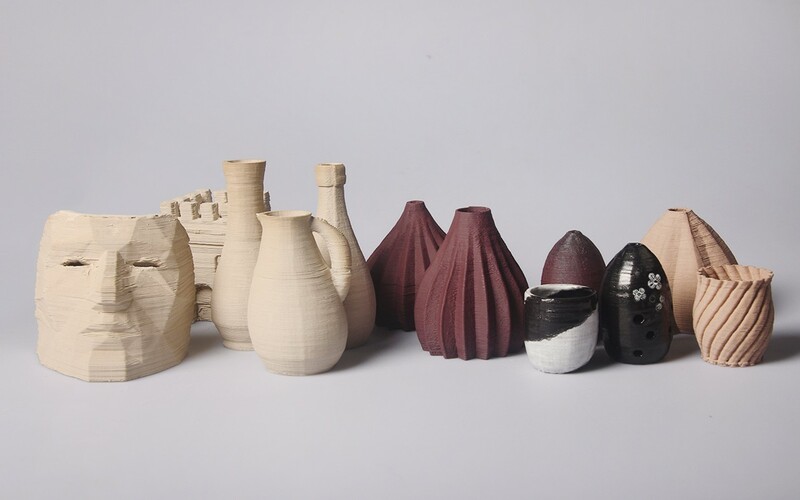 Traditional 3D printers use materials that are ABS, PLA, or light-cured resins. The printed model is primarily used as a product prototype for testing the feasibility of a product, or an ornamental model for viewing. 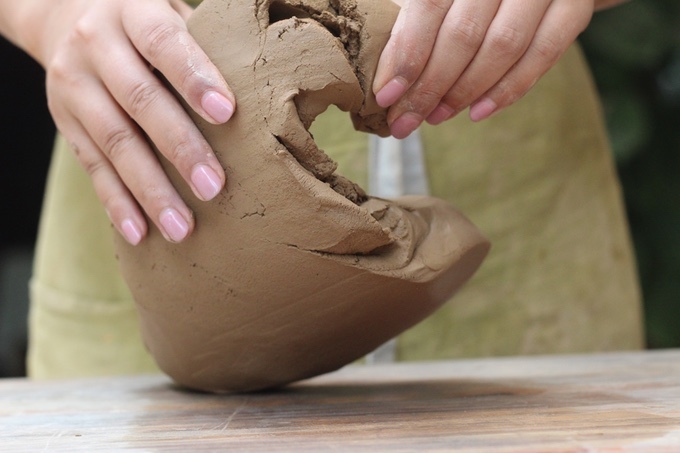 If you want to get a daily use of the cup, bowl or shade and other daily necessities, then need to go to the clay model studio to learn the hand-kneading model, after firing can be obtained. I would like to be able to quickly make a cup at home, but do not want to go to clay model studio. Would like to be able to use the 3D printer to quickly print a cup, firing it, I can get the cup I want. 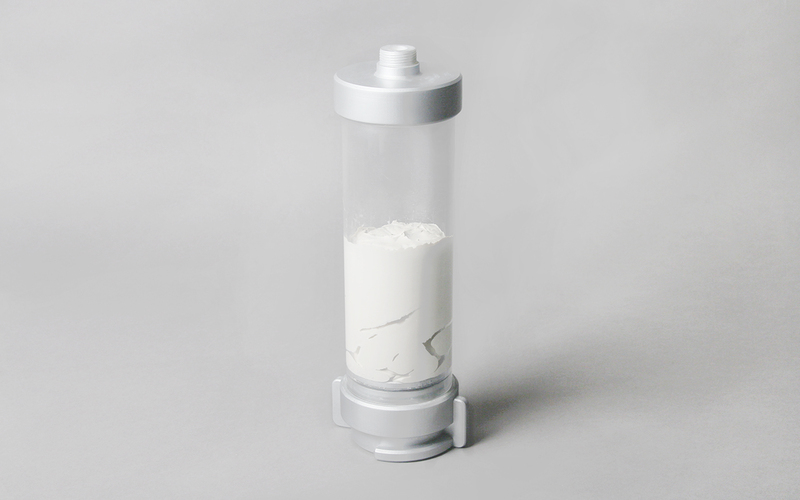 But the market is mostly expensive clay printer, the volume is very large, can not buy enough options. So I designed a clay 3D printer by myself. 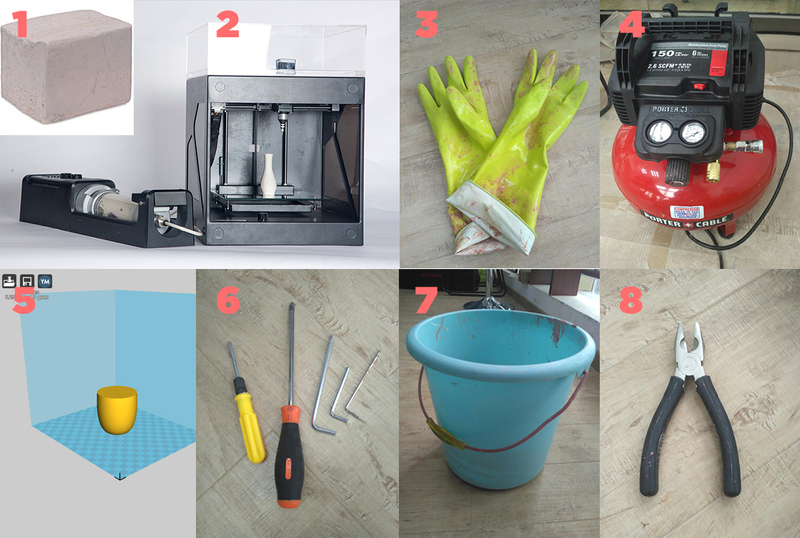 3D printer design process is too complicated, a lot of information is not organized, this time to simply mention the design process. Next time I will write a tutorial to describe the detailed process of designing a clay 3D printer. 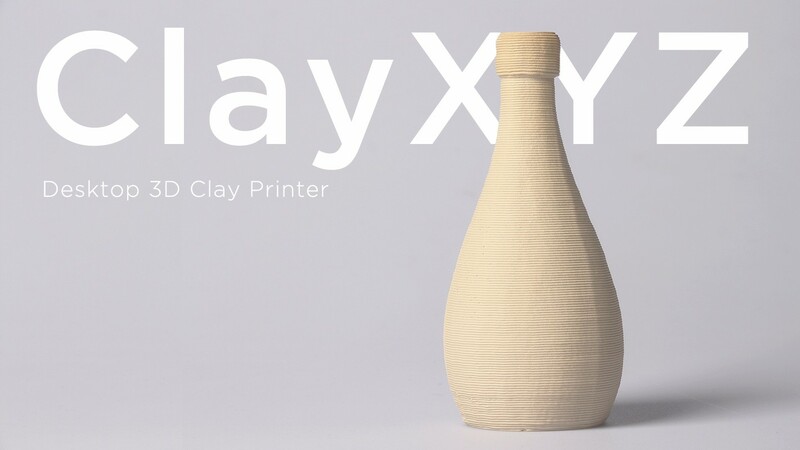 This instructable show how to use clay 3D printer to make a cup that can be used to drink water. Cup Model. You can download HERE . I spent six months designing this clay 3D printer. The early design was to use the existing 3D printer frame, redesign an extrusion device, control the soft degree of clay and the extrusion speed to match the speed of the printer, we can print out a clay model. The first generation of the extrusion device uses an air compressor to push the clay fluid into the nozzle through a strong air pressure. Designed a control valve to adjust the value of the air pressure. Redesign the extruder head, inside use stepper motor drive screw to push clay to the nozzle. 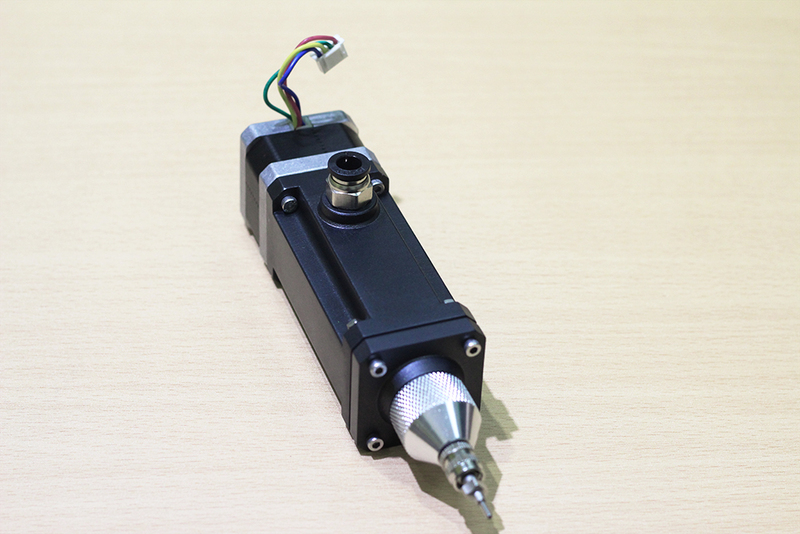 Design a stepper motor controller to adjust the extrusion speed to match the printer. I found that the air compressor during printing can not be a good control of the amount of clay and print not perfectly. So I also designed the second generation of clay 3D printer. 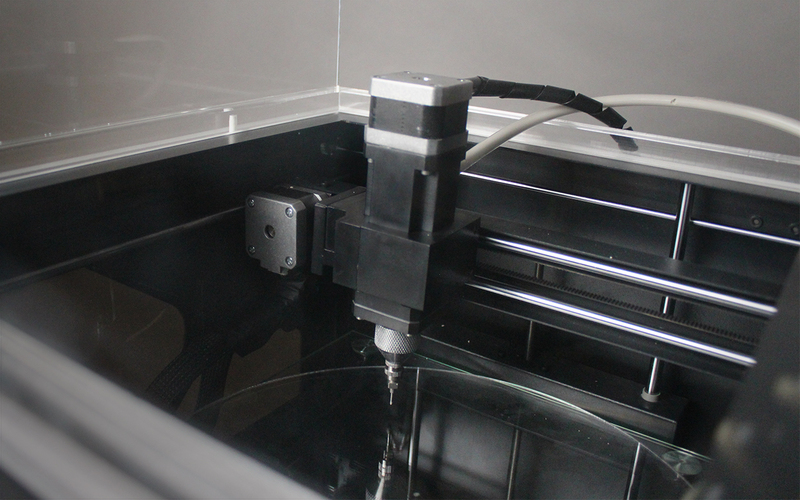 The second generation of clay 3D printer uses a stepper motor to push the piston structure. Improve the feedback speed of the system, can be a good control of the amount of clay. The printed model works a lot better. 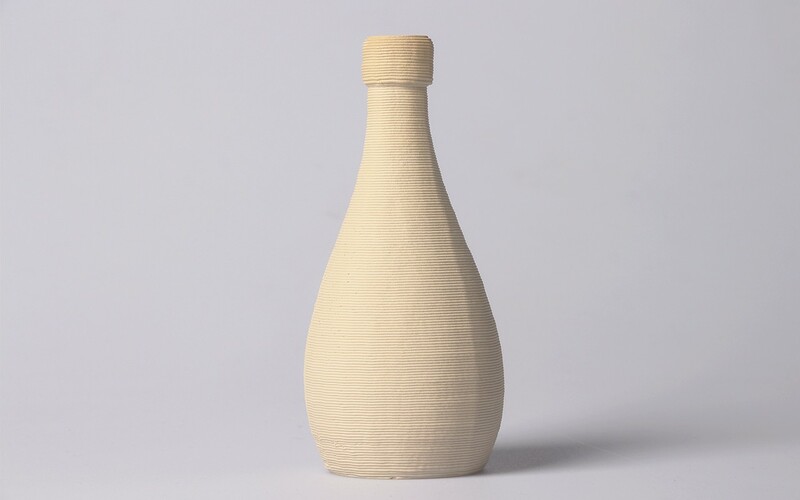 And I specifically looking for industrial designers friends to design a second generation of clay 3D printer appearance, looks a lot of beautiful. I found some cup models on thingiverse , but did not find what I liked. So I designed a cup myself. I uploaded the cup model to the website, and if you wanted to print it, you could download it HERE . Mix the clay and water in a certain proportion, stir well to make the clay soft enough. Put the clay into the clay tube and cover it. Put the clay tube into the extrusion device, lock the clay tube. Connect the conduit at the output of the extrusion device to the extruder head of the printer. Load the cup model into the slicing software, set the layer parameters and click on the slice. 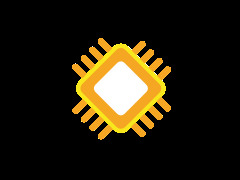 I use the open source third party slice software: Cura, Slc3r to do model slicing. And then put a sliced file into Repetier-host, set the print parameters and click start printing. In the printing process, we can re-modify the model to achieve better results. Put the printed model on desktop for air dry. The time of air dry depends on the size of the model and the cup model needs 12 hours to dry. We can do some second creation before the model dry. We can put some glaze on it when it dry. Use a wet sponge to scribble the model surface gently until the surface moist slightly. Use a small brush to scribble the glaze on the model as much as you want. After the glaze dry, repeat 4 to 5 times. Put the model into a kiln after glazed. Set the temperature of the kiln to 900 degrees and fire it for 10 hours. Turn off the kiln's power and allow the model to cool in the kiln for 10 hours. 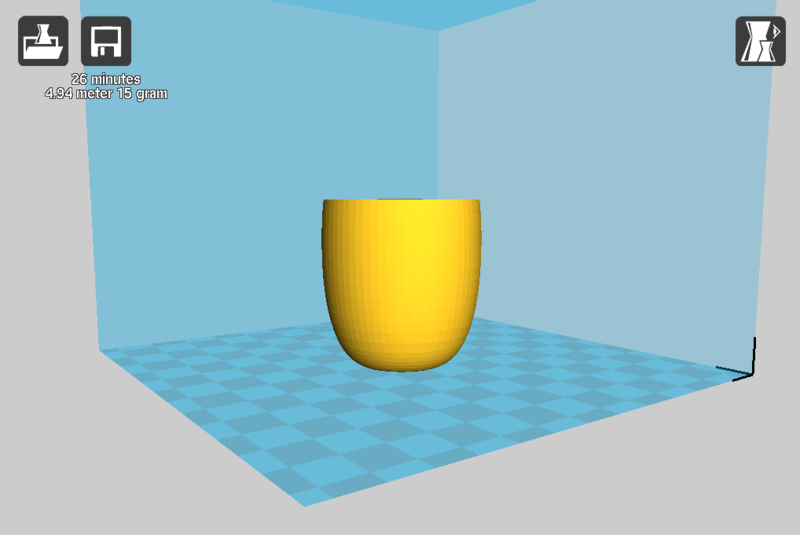 Now we have finished printing a cup with clay 3D printer. You have a special, designed-by-yourself cup now! You can drink water, tea, coffee and etc with it. I also have printed some other models like a mask, chess and Sydney Opera House. 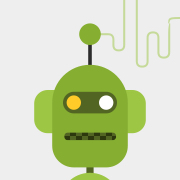 You can come to my website orKickstarterpage to have a look and get more detail.